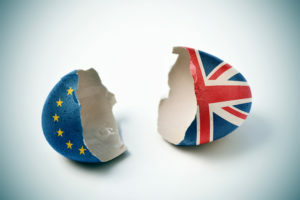 The UK government’s “soft” Brexit proposal, to allow freedom of movement of goods between the UK and the EU, is unlikely to be acceptable by the EU or even a practical solution for the UK economy. It’s politically understandable why the government is trying to protect the just-in-time delivery of manufacturing supply chains, in which many Japanese companies are involved. The manufacturing regions mainly voted in favour of leaving the EU but it might be possible to persuade those voters to accept a soft Brexit if they realise their jobs are under threat from a hard Brexit. However, 80% of the UK economy is in the services sector – predominantly in cities and in the south east – where the vote was largely to remain in the EU. It’s not so easy these days to make a distinction between services and manufacturing for the purposes of customs checks and regulatory compliance, even in the car industry. 10% of Nissan’s workforce in the UK work in a technology design center in the south east, not in the factory in the north east, developing software and services, not just components for cars. Fujitsu – the largest Japanese employer in the UK – may be a manufacturer in Japan, but only provides IT services in the UK. The number of Fujitsu staff in the UK has been falling over the past few years, whereas it has been increasing in Global Delivery Centers in Portugal and Poland. Fujitsu is now the largest Japanese employer in Portugal – employing around 1000 people who provide technical support to global customers by phone and internet. Both Poland and Portugal can provide the low cost, multilingual, well-educated workforces needed by the services sector. Although it is not a big market in its own right, the Portuguese economy has recovered since the euro zone crisis – the budget deficit is the lowest in 40 years, the unemployment rate has improved and it is politically stable. For my own business, as an insurance against a “hard Brexit” for services, I might register for “e-residency” in Estonia. This will allow me to set up a company in Estonia and open a euro denominated bank account there so we can easily send and receive euros, within the eurozone. It will also allow me – under EU data protection regulation and the new deal with Japan – to share client data freely with my colleagues in the EU and in Japan. Similarly, any UK based companies in strongly regulated sectors such as financial and legal services are making sure they have credible presence in the EU, so they can continue to do business there. Nobody is expecting the service export sector to move entirely away from the UK if there is a hard Brexit. Alternatives to the UK have other disadvantages – political instability in Eastern Europe, or high costs and scarcity of good office locations and employees in Western Europe – but I predict this current trend of dispersed locations across Europe will accelerate. Last updated by Pernille Rudlin at August 14, 2018 .